William J. Ross Construction Ltd. has been creating quality homes and renovations for home owners in Simcoe and surrounding areas since 1964. 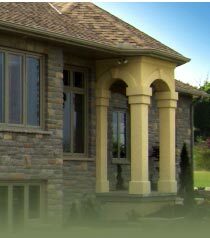 Ross Homes has a reputation for high quality custom craftsmanship in all aspects of their construction. Bob & Mike Ross believe in honesty, integrity and excellence in creating their living spaces, giving its customers the best service possible.